London is the most unequal region in the UK, home to more billionaires than any other city. There have been big rises in income inequality with senior staff earning many times more than the average employee. In the housing market values have rocketed. There is a large gap between rich and poor, and even amongst those with wealth there is a gulf between the rich and super-rich. There is evidence to show that inequality is bad for everyone but particularly for those on low incomes. 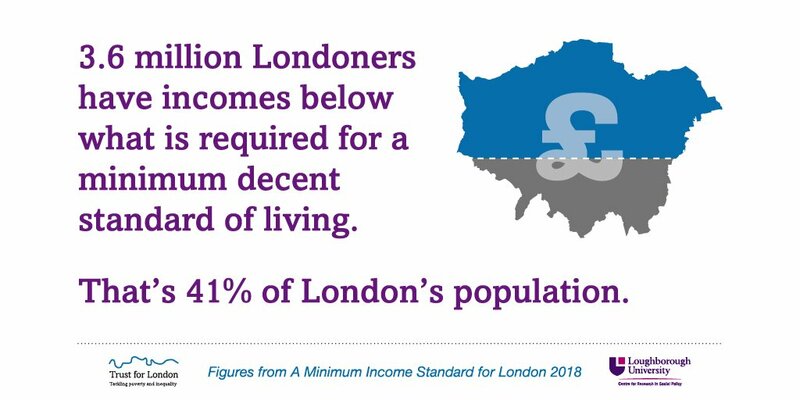 We want a fairer London. Improving the understanding of the impact of income and wealth inequality and development of solutions to reduce the gap. Increasing the involvement of employees in corporate governance, leading to greater transparency on remuneration policies, including pay ratios. Reducing income inequality, including a fairer distribution of wages, pension contributions and other employee benefits and rewards. This could include shareholder action. Greater transparency on property and land ownership and reforms leading to fairer taxation. Improving understanding of public attitudes on income and wealth inequality, leading to greater support for change. Examining how inclusive growth and devolution might be used to address economic inequality.